Well-to-do women were much more likely than working- or middle-class women to own property, and they and their families were better able to protect it. Marriage settlements kept property and income that it generated under the control of wives. Their use was widespread – Jane Maria Richmond, married to Arthur Atkinson, was among many women with a settlement in 19th-century New Zealand. They are shown here with other family members. 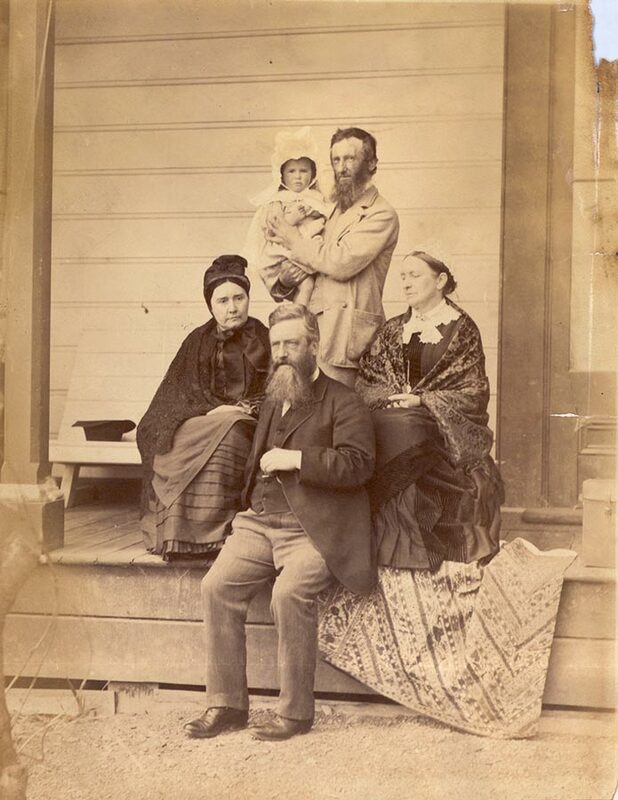 Jane Maria is on the right, her husband Arthur is standing at the back, and the baby is their granddaughter Phyllis Fell. Marriage settlements could be made by a single woman, by a woman's family on her behalf, or by a husband for his wife. Concern for a woman's wellbeing was not always the motivation. Husbands sometimes put property into a marriage settlement in order to keep it from creditors.